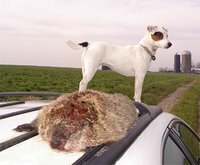 For all the discussion and advice written about terriers skunked underground, it's odd that almost no one talks about the most common emergency, and how to address it. That problem is lack of oxygen. This is not a small point. Despite what has been written, most underground skunk sprayings do not end in tragedy -- they end in stink. The ones that end in tragedy most often end in immediate respiratory failure. First, a little background. 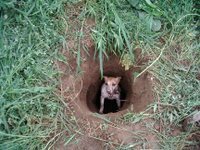 If a dog is skunked underground, most dogs will manage to get out of the hole on their own, and most will do fine afterwards. Only a small percentage of dogs that are skunked underground express evidence of skunk toxic shock two or three days after the event. 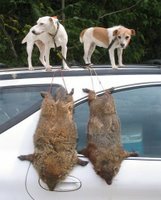 These dogs are animals whose kidneys are having trouble pushing the toxin out of their system, and there is some indication that this problem has a genetic component, as it seems to run in some terrier lines. An underground skunking is a serious thing. But -- and this point is too rarely made -- if your dog dies, it's most likely to die either underground or right at the hole. What you do immediately at the hole, then, is pretty important. And yet, on this issue, there is too often silence. A Quick Review: Most skunked dogs die because the dog cannot get out of the hole quick enough and the dog is overwhelmed by skunk spray. Skunk spray is pretty toxic stuff, as it contains a mixture of thioacetates and thiols (the stuff that stinks), mercaptans, and almost pure sulphuric acid (the stuff that will burns a dog's eyes and leave blisters on its snout). If your dog is able to exit the ground quickly and on its own, you are likely to be in good shape. 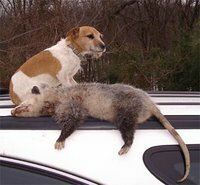 Skunk spray does not kill except underground, and though a dog may get chemical burning of the outer layers of the cornea, application of Mycitracin eye ointment, a running dose of antibiotics like cephalexin, and a week's rest away from the other dogs, will probably put everything right. No dog has ever been rendered permanently blind by skunk spray alone, and all a vet will do is stain the eye a lot and bill you for the trouble. Staining a cornea does not promote healing -- it generally delays it. If you focus on preventing infection, the eye will take care of itself. If your dog is pulled limp from the ground, and it is not breathing, your problems are very serious, and immediate action is required. What has happened is obvious -- your dog has succumbed to the skunk fumes and passed out. In fact, the dog may have more than passed out -- it may have suffocated due to the lack of oxygen in the sette. If your dogs has passed out, or if it has suffocated and stopped breathing, you need to administer immediate mouth-to-snout artificial respiration. Put the dog on its side on the ground, or cradle it in your arms, making sure the neck is straight and there is nothing in the mouth or throat obstructing breathing. 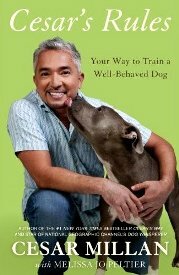 Close the dog's mouth entirely, with your thumb and top fingers holding the snout LIKE A BEER CAN. 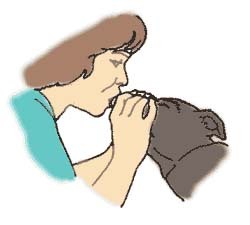 Put your entire mouth over the NOSE of the dog, and puff a short breath into your dog's nose through its nostrils. Remember your dog is small -- you are not trying to blow up a hot water bottle, you are trying to get air into its lungs. Blow air into the dog's nose four or five times, and then release the snout and massage the chest at the point where the front elbows of the dog normally rest against its body. A terrier's chest should compress about a half inch (i.e. about half the width of your thumb). Continue to do mouth-to-nose artificial respiration on your dog at a rate of one breath every 3 or 4 seconds (about 15-20 breaths per minute), and do a chest massage/compression between every third or four breath. Continue doing mouth-to-snout artificial respiration for at least 20 minutes past when the dog stopped breathing. If the dog starts to breathe on its own, and begins to rally, stop -- a dog coming up out of a fog or comma may be very disoriented and bite, especially if it cannot see well. If your dog begins to breath on its own, that's obviously a pretty good sign. If the dog is able to stand, let it do so. It may vomit, and if it does so, that is not a bad thing. If the dog starts to roll around on the ground to get the stink off of it, count yourself lucky. You are not in the clear yet, however. 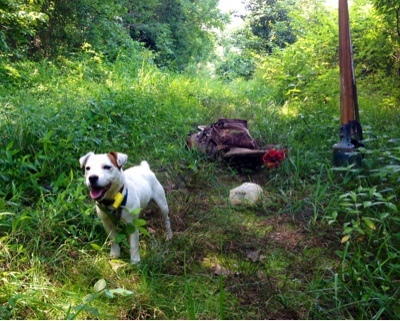 Stake your dog far from the hole and in a comfortable location. Your goal right now should be to get the dog fully hydrated and urinating. The reason for this is simple -- skunk toxin is most easily expressed through the kidneys, and the more water you can get into the dog's system, the more the dog will pee and the less likely the kidneys are to shut down. If your dog is alert and resistant (a good sign), but not interesting in drinking water, try to pour a slug or two of water down its throat. If you have an eyewash bottle with you in the field (and you should), use this to jet water down the dog's throat. Go slow -- but load up the dog with as much water as you can. The dog needs to be fully hydrated. That means a simple IV with a bag of lactated ringers solution. Putting an IV on a dog is not difficult -- a hydrating IV can be administered subcutaneous and in the field. In fact, having a lactated ringers kit with you in the field is probably a good idea if you dig a lot (gotta order one!). Mucomyst (the same medication used to treat cats for Tylenol overdose) will help clear toxins from the dog’s system. An oxygen tent may be needed in extreme cases. 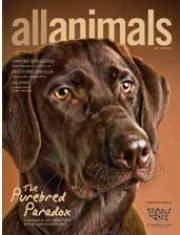 A final note: most veterinarians know nothing about skunks, skunk toxic shock or bite wounds. What this means is that if you are working your terriers a lot, both you and your dogs will be better off if you learn to do basic veterinary care yourself. 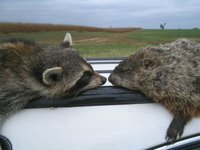 In your vehicle, you should have a well-thought out veterinary box with antibiotics and VetBond (or SuperGlue), ProvIodine, triple-antibiotic ointment, a space blanket, a large irrigation syringe, an extra gallon of distilled water, a razor blade for trimming away fur, a canine nail cutter, gauze, tape, Mycitracin eye ointment, benadryl (for yellowjacket and copperhead snake bites), and a muzzle. My vet kit also includes a hypodermic set, a Percocet-5 (with dosage notes), a rectal thermometer (added after a black widow Spider run-in), a veterinary stapler, quick stop styptic powder, and a small bottle of epinephrine (with dosage notes). In the field I always have several small squirt bottles with distilled water in them -- useful to wash out an eye, irrigate a wound, or administer oral hydration to a skunked dog. Working a terrier is not risk-free for the dog. Of course, neither is the drive to the farm or a dog show. All things have risks. That said, your job -- as owner -- is to reduce those risks as much as possible. That means having a pretty complete vet box with you in the field as well as a credit card, a cell phone, and the number of a near-by vet. Above all, however, it means reading, researching and committing to memory some basic knowledge to avoid mistakes. 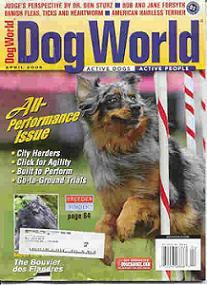 One of those bits of basic knowledge is how to administer canine respiratory assistance. As for getting rid of skunk stink, well good luck with that! Skunk stink lasts and lasts because the thioacetates in skunk spray break down into stinky thiols over time, resulting in the stink coming back, especially after the dog gets wet. The thiols can only be eliminated by repeated application of a soap-and-oxygenater combination, such as peroxide and hand soap. No matter what you do, the stink will be with you for 30 days. 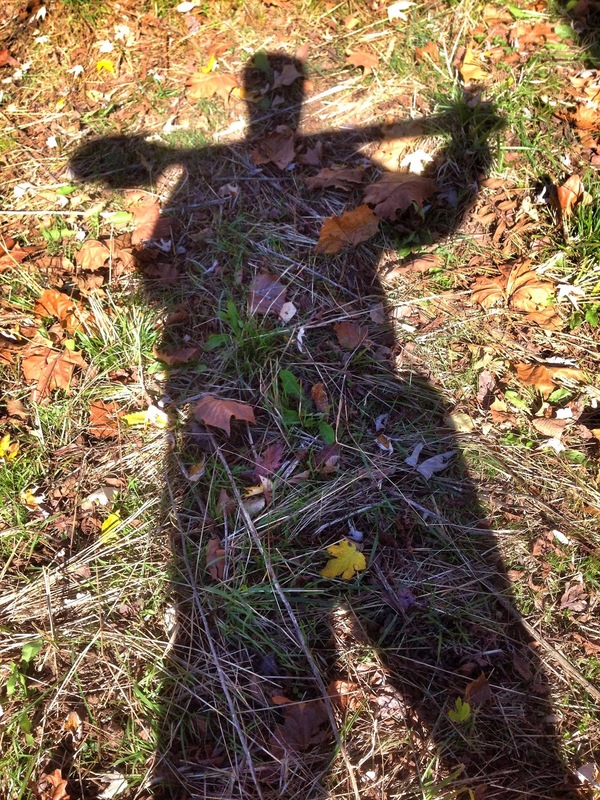 A terrific article -- the best on underground skunking yet. This is great! Can you please add this to your Health Care page? I have actually been skunked. I had a dog (this one: http://retrieverman.files.wordpress.com/2008/12/blahblahblah-147.jpg)that loved to kill skunks. She didn't mind being sprayed at all. She would rush in, grab it, and shake it to break its neck. One evening I had her out for an evening walk, and she dove into the undergrowth that was no more the four feet from the trail. As I walked past that stand of undergrowth, I saw her shaking something black and white, and all of a sudden, I got hit full force with skunk musk. So my dog actually got me skunked. Thanks again for this wonderful article. I've passed it on to several JRT lists, the Russell Rescue ladies and friends. Some people say "oh, this will never happen to my dog." My reply is one never knows where or when it will happen and what happens when it does and you don't know how. To me its like every mother should know CPR and the Heimlich manuver just in case. unsprayed so far and walking with crossed fingers. For an excellent video of Canine CPR, visit this YouTube page. 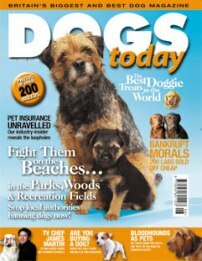 Once again, an excellent, important and must read article regardless whether you work your dogs or not. This is one you should repeat on a regular basis as it is life saving information. Many thanks Patrick. I've been teaching pet first aid and CPR classes for several years and would like to offer one important tip on getting a clear airway - a dog's tongue is a lot longer than a person's and many times it will drop back and block the airway even when the head and neck are properly extended. If this happens (or to prevent it from happening) - reach in, take hold of the tongue, pull it slightly out of the mouth, then close the mouth and hold it shut so that the teeth hold the tongue in place. Great job. Thanks for sharing this. It means a lot to us Terrier lovers. I had my 2 Borders in our barn used for storage they were working a manure gutter with plywood over it. After smelling skunk, 1 Border and the skunk came out. I thought my other dog was in the gutter maybe killing skunk babies so wasn't overly concerned. It took a few minutes to pull off the plywood and my 4 yr old Border was seizuring. Carrying her to the house , vomitting and diarrhea, the seizure subsided. She was staggering but appeared to improve. Bathing with H2O2, Baking soda and Dawn dishsoap. No appetite. She slept with me and in the morning as I lifted her off the bed she was very unbalanced with head bobbling and staggered gait. I took her to our Vet and they said her Red blood cell had Heinz Body Hemolytic Anemia. Now 2 days later she is still staggering and slight bobbling her head. I know she has never had a seizure before and she was not exposed to any other toxins. She was on IV Lactated Ringers. She is having daily CBC's, and on Denamarin (amino acid methionine), Acetylcysteine and Prednisone. Today is day three and the unbalanced movement and head bobbling is totally normal. She does not have her normal energy but is eager to eat and drink. I take her back for a repeat CBC. Her color of her mucous membranes are a nice pink color so today I am much more relaxed about her outcome.